Illegal immigration by parents traveling with children hit an all-time high in September as thousands of families continued to pour across the southwest border, capping a record-setting year for family migration. A total of 16,658 people traveling in family units were arrested by the Border Patrol at the southwest border in September, according to unpublished Customs and Border Protection (CBP) figures obtained by The Washington Post. For all of fiscal year 2018, more than 107,000 people in family units members were arrested, shattering the previous high of 77,857 set in 2016. The summer deluge of family migration has come in the three months since President Donald Trump ended family separations at the southwest border. Over that period, large groups of families, mostly from Central America, have crossed the border or arrived at ports of entry to petition for asylum. The Trump administration has attributed the surge to loopholes in immigration law that prevent the government from holding adults and their children in detention together while their cases are heard in immigration court. Administration officials say the restrictions encourage parents to bring children across the border because they know they will be released for the duration of their immigration proceedings, which can take years. The administration in April tried to create a deterrent to family migration through a “zero tolerance” policy, in which all adults crossing the border with children in tow were prosecuted for unlawful entry. The policy led to the separation of about 2,500 children from their parents, sparking outrage among immigration activists and civil rights groups. Trump ended the practice in June amid public outcry, while a court order forced the administration to reunify most of the families that had been separated during the zero-tolerance period. Today, most illegal immigrant families caught at the border are released pending a court date unless there are aggravating circumstances such as suspected child abuse or drug smuggling. Reports of record-setting family migration come as a caravan of about 2,000 migrants is making its way northward from Honduras, with the aim of reaching the U.S. border. It is the second such procession this year, after a similar group marched from Central America all the way to U.S. ports of entry in April. The prospect of another highly publicized caravan reaching the U.S. border has again drawn Trump’s ire. He threatened Tuesday to cut foreign aid to the governments of Honduras, Guatemala and El Salvador if they did not act to stop the outflow of migrants. Meanwhile, White House officials are reportedly considering new border policies to deal with the wave of family migration. 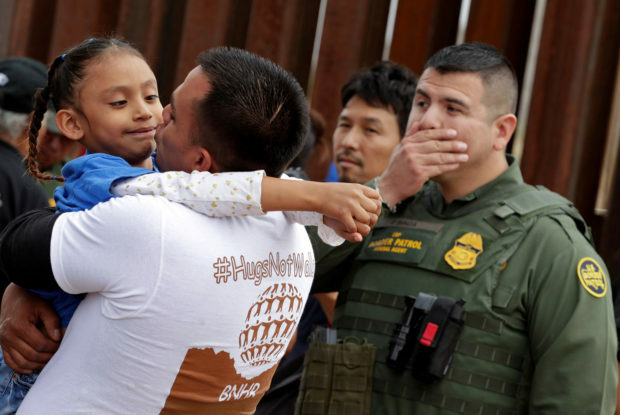 Options under consideration include new rules making it harder for asylum-seekers to gain admission at ports of entry and so-called “binary choice” — where parents choose between staying with their kids in long-term detention or allowing them to be assigned to a government-run shelter until a suitable sponsor can take custody.